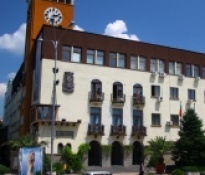 Haskovo municipality is an administrative, economic and cultural center of the region with well-developed modern technical and social infrastructure. It is characterized with high quality of life for its residents and preserved environment. 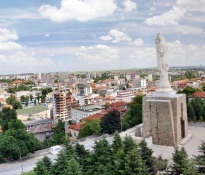 The town is located in the central part of Southern Bulgaria, at the crossroads between Europe and The Middle East, which is a good prerequisite for international, commercial and cultural exchange. In the municipality of Haskovo, there are extremely favorable climatic conditions for the development of vegetable and fruit growing. Tobacco growing is a traditional crop. There are also favorable climatic conditions for the establishment of vineyards and the development of wine industry. The industry in the municipality is diversified, however, it is specialized in the production of machinery for food and dairy industry, tailoring and knitwear production, bakery, meat and dairy industry, manufacturing of heating and household appliances. Traditional production sub-brach is canning industry. 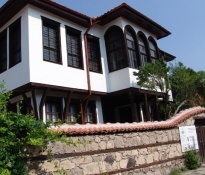 The region of Haskovo enjoys a favorable climate, convenient transportation and is a natural center for cultural events. 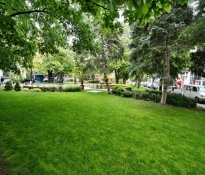 Haskovo is known as one of the cleanest and most urbanized cities in the country.The environmental program of the city includes many important projects related to waste management, air and water monitoring, environmental management and environmentally protected areas.